The purpose of listening to the Dharma is to transform our hearts and minds, and not merely to gain intellectual knowledge. For the Dharma to be useful, for it to relieve our problems and suffering, it needs to move from our head to our heart. We need to gain inner experience of the teachings, and then to make that stable. To do this we need to meditate on the various topics of the path. 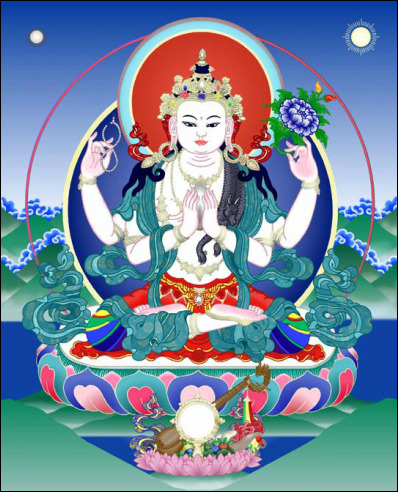 This course will emphasize meditation on the graduated path to enlightenment (Lamrim) in order to generate genuine experiences, and the focus in this period will be bodhicitta and the bodhisattva activities (six perfections) with a particular emphasis on emptiness. Students will have a chance to practice leading meditations, if they wish, and receive feedback on them. There will also be an opportunity to discuss any questions, issues, and obstacles that arise during our meditation practice. Impermanence, aversion, and so on; but they have not arisen through analytic meditation. Such wisdom is nothing more than right judgment and so eventually it fades away. The genuine experience that comes from reflection. The former awareness to fade away before they can generate the latter. Even by the Lam-rim or the blessed words of your guru. How, then do you generate the understanding that comes from reflection? Analytic meditation is the exercise of eliciting experiential realizations. Registration at the door: $15 per class or $50 per month (four classes). Members of a certain level get courses for free (see the membership program for details).